You may recognize, for now U.S. based, emcee W.O.L.M from all PT mc albums, on SC, or even by the label he is on Resistant Mindz, one thing for sure is his vocals are distinct and I’d best describe as an astral experience ridden through his word usage as an almost subliminal stimuli. I listened to so many different beats he has been on and he definitely is versatile yet still maintains his own unique signature. Having recently returned from a Euro Tour of Amsterdam & Germany, W.O.L.M invites us to experience best he can the recap of that tour via footage uploaded on his youtube channel. Be honest it’s an almost one hour long kinda recap but you will witness another level of W.O.L.M as a performer as well as the special connection of this duo on stage of that being DJ D-Fekt. DJ D-Fekt doesn’t need no showboating to make apparent his talent and his ability to be in tune with W.O.L.M as you can witness yourself how their performances were laden with that natural connection that even with language barriers within the audience it’s unmistakable they were gifting a good time. I more than enjoyed this video and am looking forward to more coming out from W.O.L.M and his crew…so sit back and enjoy this one! 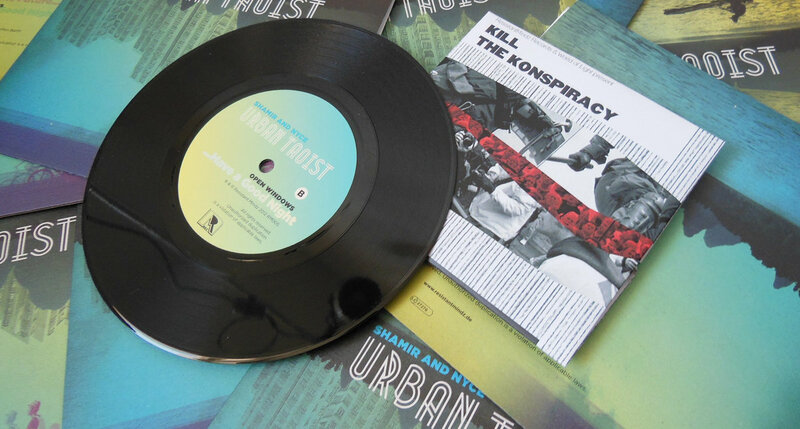 Don’t miss this, there’s a hard copy for purchase of Shamir w/ other half of W.O.L.M Nyce, a limited 7″ which comes with the ” Kill the Konspiracy”EP as a CD gift available on Resistant Mindz platform.